The first thing that came to mind when reading about Briton Bees Motorcyclettes was, “what the heck is a Motorcyclette?” Then, like they had read my mind, I found the answer on their website: “Elementary, my dear boy. 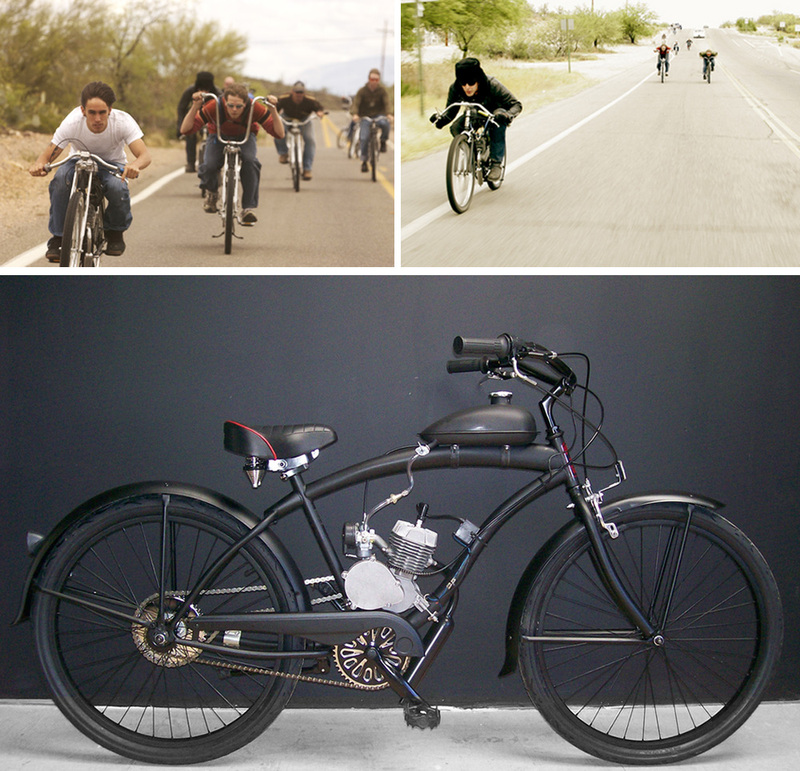 Moto: from the Latin “propulsion”, cycle: “movement by wheeled means”, and ette: from the French, “small or smallish”. 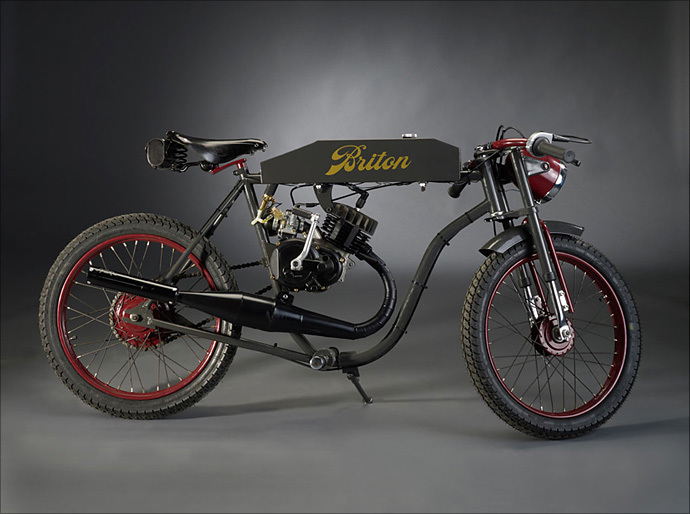 Giving us a small engine-propulsed two wheeled vehicle.” Briton Bee are the latest in a swarm (sorry) of young builders using mopeds as donor bikes. 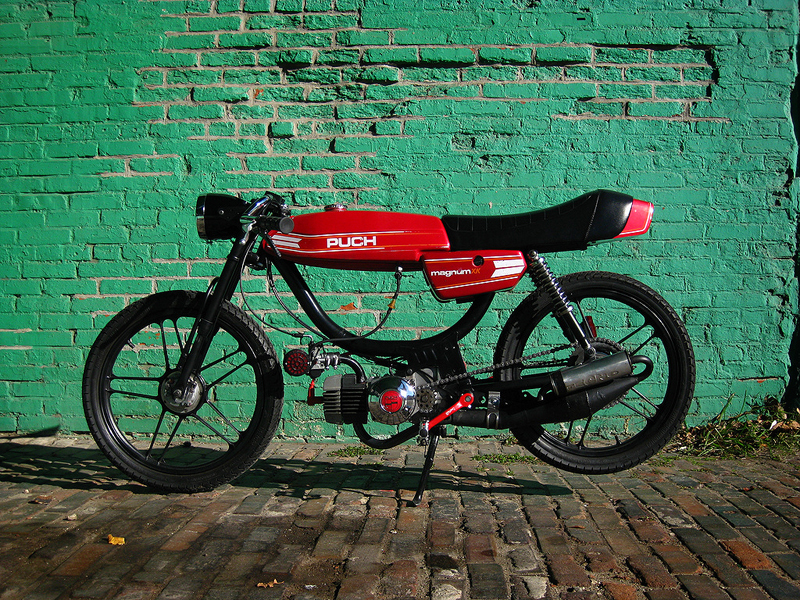 These sweet handmade bikes are built in Asheville, NC using a mix of parts from Europe and the U.S.
How do you start a story about a simple but elegant Peugeot Moped cafe racer? Do you compare it to a slender French super model? No, too shallow. Do you open by telling the amazing history of Peugeot and how they’ve been building motorcycles since before your great grand daddy was popping wheelies on his penny-farthing? Nah, that could seem like a history lesson. 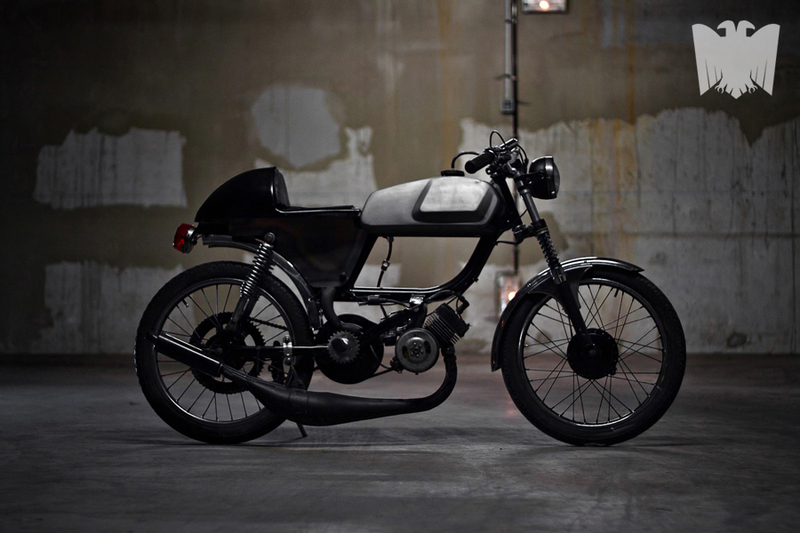 Or do you just show the beautiful photographs sent to us by the builders of this French moped and let them tell their story? Probably best. 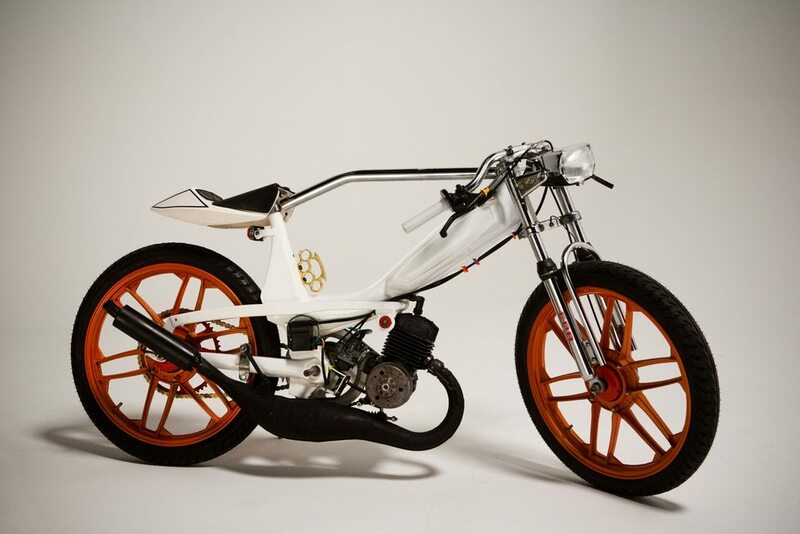 Well, this little 1974 50cc moped was built by Thomas Patouillard Demoriane, who is part of a Parisian moped gang that go by the name of ‘The Children of Decadence‘. The humble Honda CT110 is one of the most reliable bikes on the planet, which is why Postman use them to deliver the mail down here in Australia. They are affectionately known as ‘postie bikes’ and have always had a cult following but we haven’t seen many customized, until now. A company in Melbourne called Postmodern Motorcycles are turning these air-cooled single cylinders into tasty little customs. 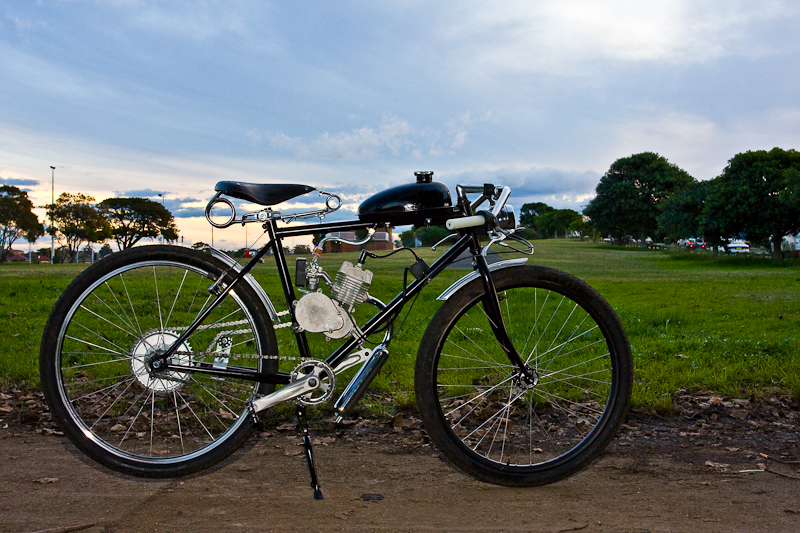 Ridley Motorcycles are some of the best vintage looking motorized bicycles on the market. There are five different models, each based on different time periods ranging from 1903 through to the 1940’s. They are offered with either a 49 or 70cc engine, and also feature pedals for those that want to keep it green and create zero-emission. The standard 70cc engine has a pretty impressive top speed of 34mph, which is fast enough to keep up with most traffic in rush hour. The gas tanks are beautifully incorporated into the frame which can either be ordered in steel or aluminum. 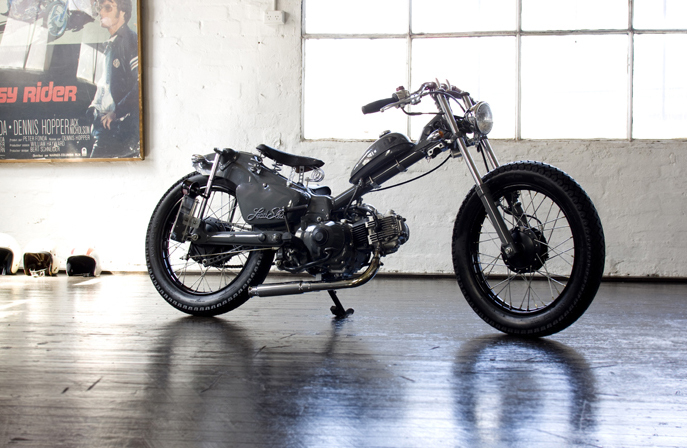 My favourite is this OD green ‘MP’ which is styled on a vintage military police motorbike. To view the rest of their first-class range visit the Ridley gallery.